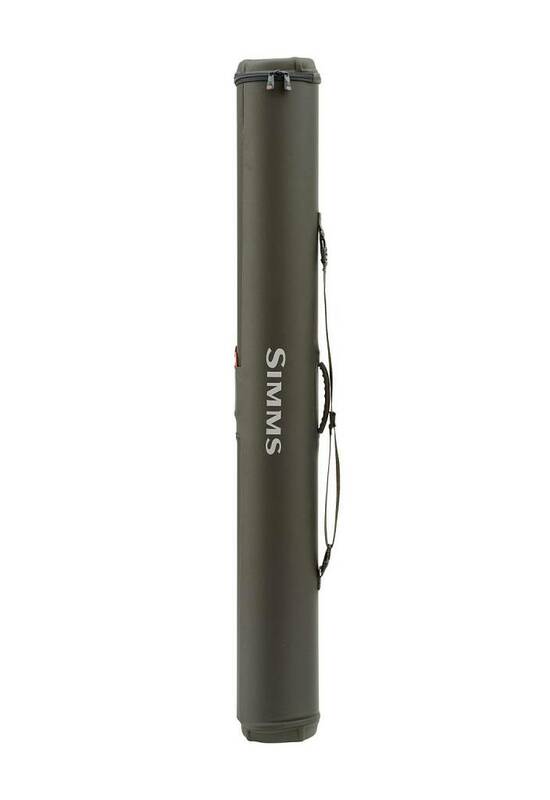 Simms Bounty Hunter 6 Spey Rod Cannon, A sturdy protective case for traveling with up to six Spey rods. 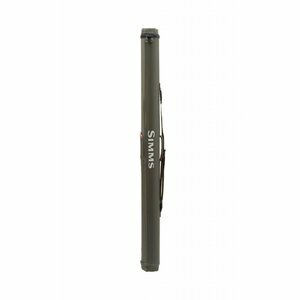 Simms Bounty Hunter 6 Spey Rod Cannon, Big water and big gear go hand in hand. When Alaska and British Columbia are scheduled, it's time to get your two-handed rods in order. Simms Bounty Hunter 6 Spey Rod Cannon provides bomber protection for your collection when traveling to steelhead or salmon country. 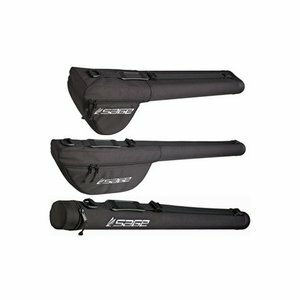 The generous case holds up to six four-piece, 15-foot rods, so you can choose the weight and set-up best suited to the water and objective of the day. 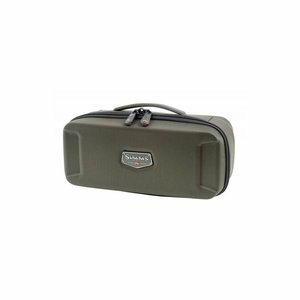 A single reel storage case lets you pack a ready-to-fish reel with your rods. 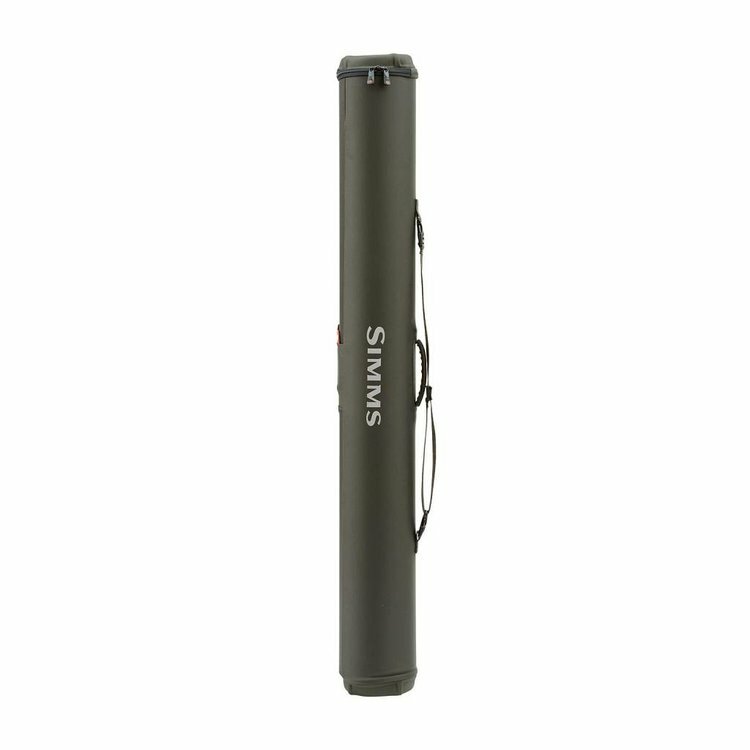 The sturdy hard case is covered with heavy gauge fabric and protects your investment from the rigors of extended travel. There's an adjustable shoulder strap to free up your hands to hold other gear, plus locking zippers and a built-in luggage tag add security when traveling. 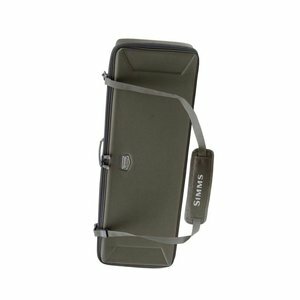 Simms Bounty Hunter 3 Spey Rod Cannon, A Tenacious case for safely transferring up to 3 spey rods totally protected. Bounty Hunter Vault Coal, The new standard for fly fishing travel gear. The Vault holds a bunch of rods and reels and can be worn as a back pack making your layover rush a breeze.